The Choir of Christ Church Cathedral, Dublin enjoys an enviable reputation as one of Ireland’s finest choirs. Tracing its origins to 1493 with the founding of the choir school, the cathedral choir has always been highly regarded in Dublin’s musical life and took part in the first performance of Handel’s Messiah in Dublin in 1742. With the largest repertoire of any cathedral choir in the country, covering more than five centuries and including many works commissioned especially for it, the present choir is a mixed ensemble of around eighteen adult singers. In addition to singing at three cathedral services a week*, the choir is in demand for television and radio broadcasts in both the UK and Ireland, including BBC Radio Three’s iconic Choral Evensong and appearing on RTE’s Sunday Worship programme and a special RTE Radio broadcast on St Patrick’s Day. In recent years the choir has also recorded a number of CDs, including an award-winning collection of Christmas Carols and two critically acclaimed CDs, Meditations and Remembrances, of the works of contemporary composer Francis Pott, and I Love Alll Beauteous Things, a disc of the choral and organ music of Herbert Howells, to mark the twenty-fifth anniversary of the composer’s death. The choir has toured extensively in Ireland, England and France. It has performed in concerts and at services in New Zealand, Germany, Croatia and Slovenia, and in Westminster Abbey. The choir has toured extensively in Ireland, England and France. It has performed in concerts and at services in New Zealand, Germany, Croatia and Slovenia, and in Westminster Abbey. 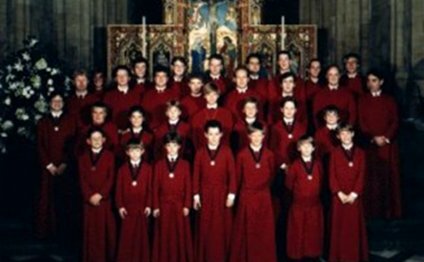 In February 2006 it undertook a highly successful tour of the United States of America, including concerts and services at St Thomas’ Church, Fifth Avenue, New York and Wahington National Cathedal. Most recently, the choir travelled to Loreto in Italy to perform Messiah at the invitation of the Associazione Rassegna Lauretana di Musica Sacra. For further information on the choir, contact Ian Keatley, Director of Music, +353-1-6778099. A partnership between the Cathedral Choir and Barretstown was announced in 2014. Barretstown is a charity devoted to serving children suffering from serious illnesses including cancer. Our Cathedral Choir performed at the 20th Anniversary Gala Ball, at Dublin Convention Centre, in front of over 1000 guests including local celebrities, pop and rock musicians, actors and politicians. Our Cathedral Choir raised €2154.86 for Barretstown by organising a sponsored walk in the Wicklow Mountains. We thank members of our congregation who joined us as our community comes together with a common sense of purpose.